InstaForex range of Advisors - everything for trader! InstaForex enables its customers to access to financial markets via trading platforms InstaTrader 4 (MetaTrader 4) and InstaTrader 5 (MetaTrader 5). The platforms allow users to take advantage of automated control systems of their accounts while trading. The website will come in handy for those who want to use an EA or indicator to test it on their InstaForex trading accounts. There is a large catalog of ready-made EAs available to buy at great discount prices. In addition to discounts and convenient ways of payment for InstaForex customers, we provide you with an opportunity to directly communicate with an author of an EA to ask your question and express your wishes regarding the EA. In case you do not find the EA you need, you can order it from one of our programmers. Their profiles and work samples are available on the site. Cooperation with our programmers at advisors.instaforex.com does not boil down to advisor's writing. You can order an indicator, automated system, and other things. 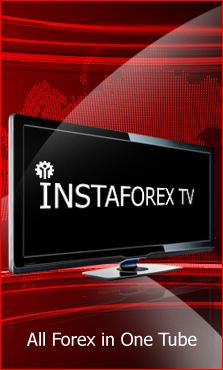 The advisors.instaforex.com resource contains a catalog of wide range of indicators for automated forex trading. You can download them free of charge. Also, you can submit a request for placement of indicators and educational projects. If you want to sell your EA, advisors.instaforex.com will help you do it promptly and gainfully by placing your product description and contact details. This resource is a great platform for all market participants whose activity is somehow related to the use of expert advisors. advisors.instaforex.com is the project of InstaForex, which pioneered and promoted the use of EAs in its customers' trading, thus encouraging other leading forex brokers to enthusiastically embrace this technology. Here you will find comprehensive information about the right hand of the skilled traders and newbies - EA. We give guidelines how to write EA in the MQL environment specially for this or that strategy or trading style.